VONORE, Tenn. (June 27, 2017) – MasterCraft Boat Company (NASDAQ: MCFT) today introduced the new XT22, a larger XT crossover boat designed for endless family adventures on the water. The second largest do-everything XT boat, the 22-footer’s larger cabin and sizeable wake provides more comfort and fun on the water. The new XT22 also showcases MasterCraft’s newest industry-first innovations that create a more intuitive and customizable experience through new digital driving and entertainment systems. Situated in the XT line between the 23-foot XT23 and 21-foot XT21, the XT22’s spacious interior has the capacity to show up to 16 passengers endless summer fun. The innovative Pickle Fork bow creates a capable forward lounge while rear transom seats and a cockpit backrest open up more spots for family and friends. The 22-foot boat’s all-new hull and MasterCraft’s optional award-winning Gen 2 Surf System creates three zones of perfectly sculpted, sizeable waves. The XT22’s customized hard-sided ballast tanks accommodate up to 2,700 lbs. of ballast to enhance the boat’s wake. The XT22 can additionally be outfitted with the award-winning Dockstar Handling System, a revolutionary flanking rudder system that makes maneuvering in tight spots and crowded marinas a breeze. After studying its customers’ usage habits and collaborating with leading technology partners, MasterCraft for 2018 simplified and enhanced the on-board experience with technology that tunes the boat’s operations to three owner-favorite usage modes: drive, tow and chill. This first-ever “modal” operating software for towboats is enabled by MasterCraft’s new proprietary premium dual-screen dash that streamlines boat operation and improves helm styling and ergonomics. Claiming the most screen real estate on any towboat, the 10.1” new touch screen and 12” non-touch display simplify boat control, enable better organization, and display information changes on both screens based customized for each mode. The system’s software maximizes the additional screens by also offering pre-loaded tutorial videos and maps of all global waterways. The software also cleanly integrates with users’ cellular phones, rear-facing cameras and navigation as well as enabling real-time integration with on-board GoPro Cameras. The XT22 also debuts new customizable Klipsch Audio systems, made available through a recently-announced partnership for the audio pioneer’s systems to be the exclusive new standard audio equipment for all new MasterCraft boats. Klipsch Audio’s MasterCraft-exclusive marine speakers and amplification solutions create a heavy-hitting, customizable concert-style entertainment experience that also has an audio mode paired to each driving mode (drive, tow, chill) with the dual-screen dash. The dash uses Integrated ICE audio controls for the Klipsch audio system, including zone volume control, equalizer, media sources and integrated Bluetooth. The XT22 debuts the new easy-folding, gas shock assisted ZFT2 tower as new standard equipment. Either the ZFT4 or customizable ZFT7 Power Tower, remain tower upgrade options on the XT22. The XT22 is powered by the latest General Motors engines marinized exclusively for MasterCraft by Ilmor Marine. The XT22 comes standard with an Ilmor 5.7L multi-port injection V8 engine (5000 MPI V8). Two Ilmor Gen Five gasoline direct injection motor options are available, including the 5500 GDI V8 (5.3L), or the bolder 6000 GDI V8 (6.2L). An ideal new family vessel, XT22 has the room for the whole clan to climb on board and create memories. The XT22 served as the catalyst to professional surfer, Leila Hurst, and her father to reminisce about their lives surfing together. Please find their story with the XT22 here: http://bit.ly/2tdTaOr. 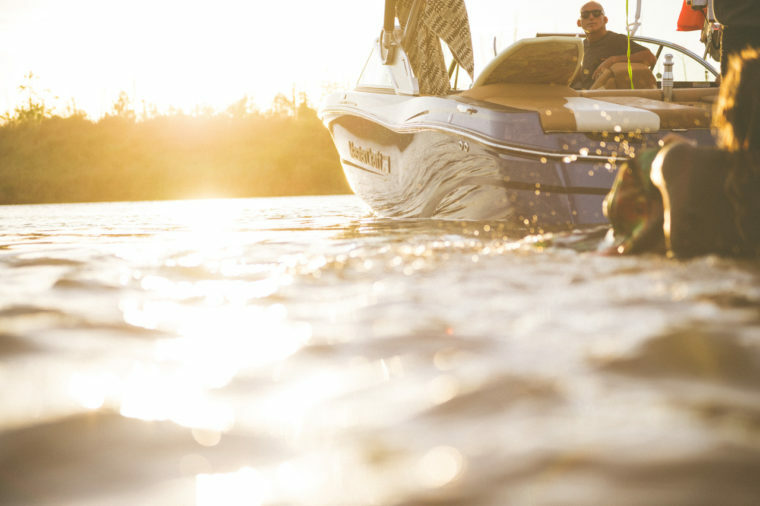 Like all MasterCraft boats, the XT22 comes with the best warranty on the water, the five year MasterCare protection plan. 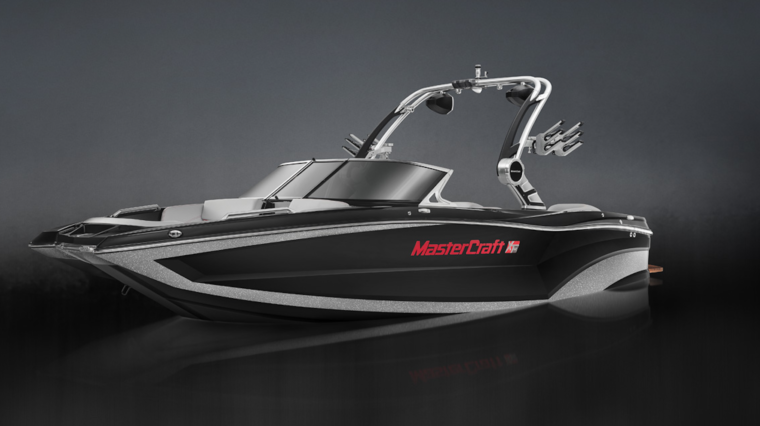 Hand-built by “Master Craftsmen” in the company’s U.S.-based manufacturing facility, MasterCraft boats are constructed with quality and reliability in mind resulting in the highest resale values in the industry. Completely customizable from bow-to-stern, consumers can visit http://www.mastercraft.com/boat/detail/xt22 to configure their own XT22. MasterCraft dealers will begin taking orders on XT22 models immediately.